I actually feel bad because now that Nathan and I are here in the Philippines, the husband is left alone to feed himself. My husband may be very good at all house chores but he doesn't like to cook. He's lived alone for so many years and he would eat out most of the time. Thankfully, we discovered BBQ King Delight last October 17, 2016 through Yelp. We just moved to Surrey last October 2 so we were still clueless on where the good restaurants around the area are. BBQ King Delight has very good reviews in Yelp so I asked Ford to take us there. Favorite din kasi namin ang roasted pork. We live in Guildford and this small Chinese restaurant specializing in BBQ is near our place. It also has ample parking at the back so it's convenient. The restaurant is small, only around 4-5 tables (?). Displayed just across the door are their roasted items which can be bought per pound. Super nakakatakam! We chose to dine in and ordered plated 2-item BBQ meat with steamed rice. It comes with soup and tea. Grabe, ang sarap ng food! The best roasted pork I've tasted here in Canada so far. The "nice plating" adds up to the nice gastronomic experience. Ang sarap kumain using a real ceramic plate at maayos ang pagkalagay sa pagkain. We usually eat roasted pork sa T&T or Food Court kaya patong-patong lang talaga. Their food is reasonably priced and their staff (I think it's family-owned) are efficient and nice kaya ok talaga. I find their service fast. 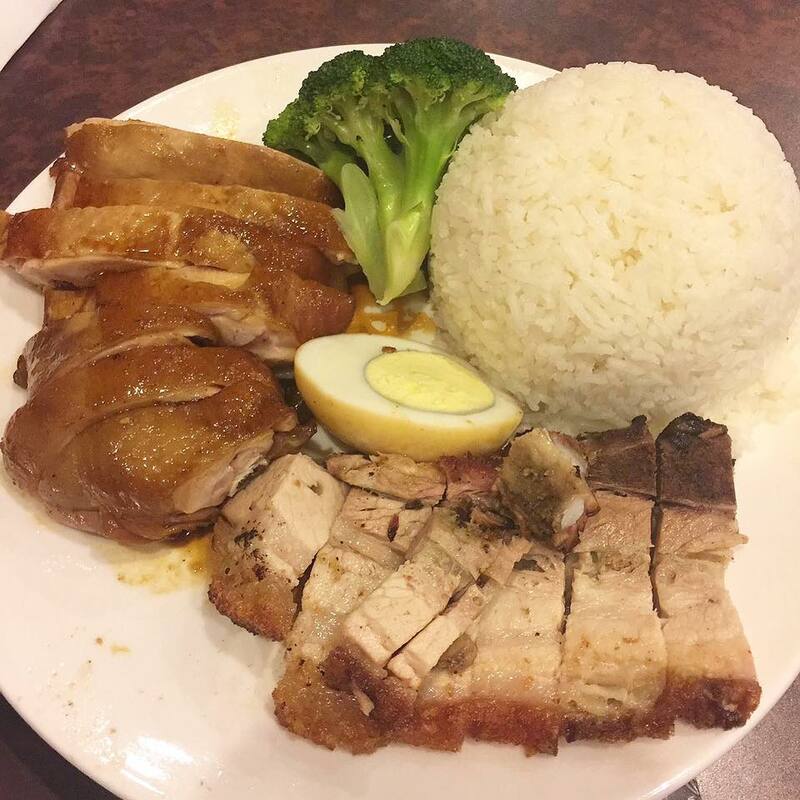 Aside from their roasted crispy skin pork (the Chinese-style), they also have this "Pinoy lechon" that they proudly boast about. While we were dining, a Filipino couple picked this up. Ito nga raw ang version nila ng Pinoy lechon. It costs around $200, if I remember correctly. Hmm, medyo malayo naman ang lasa sa traditional lechon natin. I ordered it the next time we dined there (they also serve it on plated meals) and I honestly couldn't distinguish it from their Chinese-style roasted pork haha! Anyway, now that Ford's living alone, he always buy ulam from there na lang kasi nga mura at masarap. 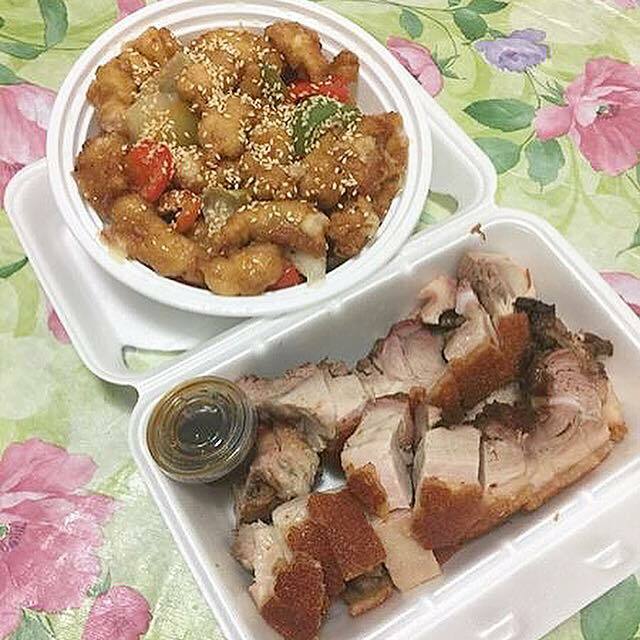 Aside from BBQ, they also sell other to-go Chinese dishes. Oh, I am craving for some Chinese food right now! Can't wait to eat at BBQ King Delight again! Here's their complete dine-in menu (as of October 2016). So many dishes to try soon!